Everyone has always desired to achieve a healthy lifestyle without having to sacrifice some of the delicious and favorite foods that they have used to consume. A healthy diet is important in keeping a good health and keeping yourself away from any serious illness. Typically, a Filipino diet contains heavy fatty meals with fewer vitamins and other essential ingredients for a healthy body. 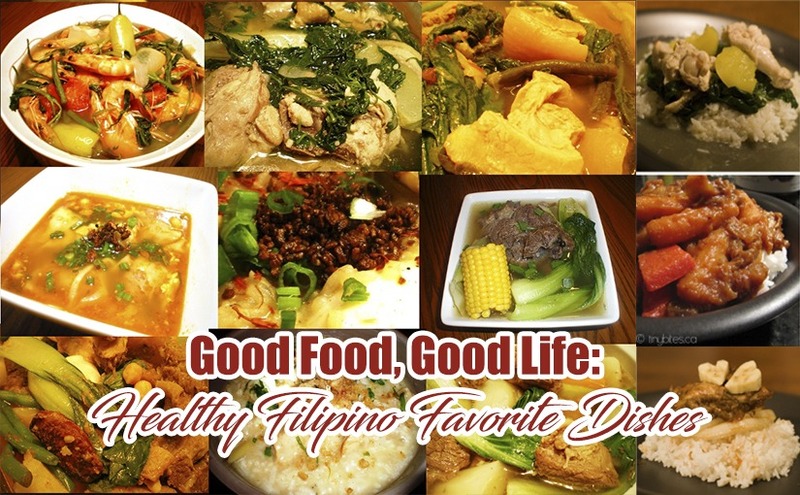 To correct the misconception that healthy foods mean tasteless and bland, here are 10 healthy Filipino dishes that are at the same time delicious. Started at the province of Bicol, this is a spicy dish made from taro leaves and has a creamy spicy taste brought by the coconut milk. This dish contains vitamin A, vitamin C, and iron, and is a perfect match with newly cooked rice. A chicken soup cooked with chayote, which is abundant in folate that is important in the production of red blood cells. Folate cannot be created naturally by the human body, and must therefore be supplied through our intakes. Additionally, chicken is a great provider of protein and has lesser fats compared with all other meats. A dish that’s a mix of different vegetables, this is usually prepared with fermented shrimp paste commonly known in the Philippines as bagoong. Rich in fiber and vitamin A, this dish usually contains eggplant, bitter melon or ampalaya, okra, squash, and string beans. Basically, this is an egg wrapper consisting of fresh coconut shoot or ubod, carrot, jicama, lettuce and spring onions inside. Requiring only minimal cooking, this belongs to the freshest Filipino dishes in the country. To add taste, this dish also comes in peanuts and a thick sauce. Overall, the food has high amounts of Vitamin A that is good for the immune system and is good in providing a healthy vision. Crowned to be the miracle vegetable and was recently hailed as the National vegetable of the Philippines, malunggay or moringa is being cooked in various ways and is rich in magnesium, iron, vitamin B, and vitamin C.
One of the cheapest Filipino dish that can be prepared, this recipe is mainly composed of string beans or sitaw and squash. Small pieces of meat are usually included in the dish, prepared in adobo style. This is rich in fiber and vitamin C.